It’s probably not too surprising that if our Transformation Pastor, Dr. Kevin Yoho, were to write a book, it would probably be about the topic transformation. And, you’d be right! 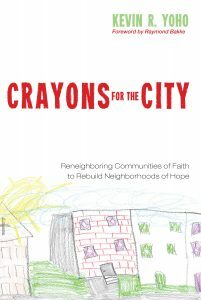 In November 2017, Cascade Books, an imprint of Wipf and Stock Publishers, published Pastor Kevin’s new book, Crayons for the City: Reneighboring Communities of Faith to Rebuild Neighborhoods of Hope. Transformation is a process, not a destination. When a group, congregation, or community intentionally enters a process that is centered on learning and a readiness to change, transformation can be experienced as growth and a new capacity to accomplish a group’s or congregation’s mission and purpose. And Pastor Kevin reminds us that it’s not just change for change’s sake, but a belief that God wants to transform our lives in the community of faith and the community at large. “And the streets of the city will be filled with boys and girls at play” Zechariah 8:5 (NLT). Pastor Kevin says, “Zechariah 8:5 was the vision for writing my new book, Crayons for the City. That vision continues to be my motivation for inviting community leaders to read Crayons and apply its practical framework in their own context.” Crayons is about asking leaders to take a look at their community impact, not just their effort. 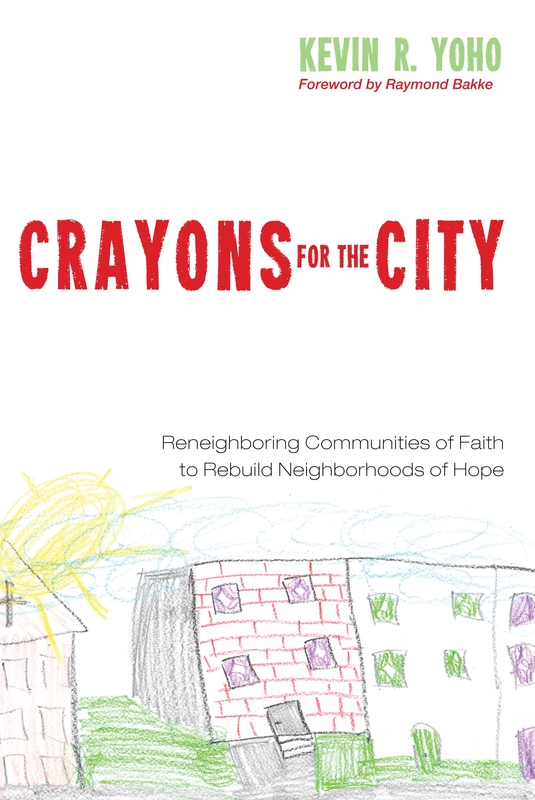 The title Crayons for the City takes its name from Pastor Kevin’s work with children in Philadelphia that began with a box of Crayola crayons. The idea was to give voice to the child’s whole world experience in a very stigmatized and under-resourced neighborhoods of Kensington. The kids were given drawing topics each week: Me and My Neighborhood; Me and My Friends; Me and My Family; Me and My School; Me and My World; Me and My Church, and Me and My Future. The drawing journey led to significant conversations and opportunities to engage children and their families in community transforming activities. The book tells the story that began with a box of crayons which progressed into a whole community project of hope and a new future. Pastor Kevin writes about has been how he has been leading the congregation since arriving in September 2016. From more open and energizing worship to asking the congregation to intentionally welcome and include the community at large in every church activity, referring to them as “Farming Events.” Pastor Kevin describes Farming Events as activities that plant seeds, nurture relationships, and foster cascading connections between the events moving forward. “While walking is good exercise, walking around the block to better understand the neighborhood is even better. …not to advertise programs or solicit support but to actively engage with residents and pay attention to what God is doing.” Pastor Kevin believes that God is active and working all over the greater Cape May community. What Cold Spring Church can do is to notice what God is doing and get involved. Everyone gets involved in their own unique ways. This new book can help any community leader, church leader, or missions student discover effective ways to achieve a positive impact. Our community deserves no less! If you are interested in a review copy of this new book, please fill out the form to request review copies HERE. Please indicate the journal you are associated with on the form. If you would like to consider the book for textbook adoption please fill out the form HERE. Feel free to direct other inquiries to our marketing assistant, Shanalea Forrest at shanalea@wipfandstock.com.